a Japanese author, poet (in the waka form), and essayist. Hōjōki ("An Account of a Ten-Foot-Square Hut") is representative of the genre known as "recluse literature" (sōan bungaku). Chōmei's specific reasons for becoming a recluse are unclear, but a string of bad luck, specifically the death of his father and his inability to fill the position left behind by him, may have caused him to leave court life. He spent the next five years in Ohara, at the foot of Mount Hiei, but considered his time here as a failure, and so he moved to Hino, in the hills southeast of the capital, where he spent the rest of his life. The design of the hut he built in Hino was inspired by the dwelling of the Buddhist recluse Vimalakirti. The Vimalakirti Sutra exerted a profound influence on Hōjōki. Chōmei wrote Mumyōshō, Hosshinshū, and Hōjōki while living as a recluse. Though Chōmei states in Hōjōki that he never left his dwelling, a separate account states that he made a trip to Kamakura to visit the shogun and poet Minamoto no Sanetomo. 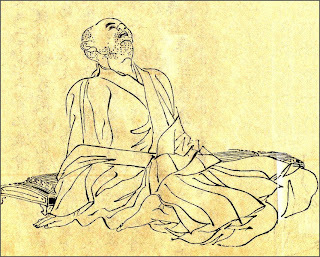 During his later life, Chōmei maintained a socio-historical perspective that was rare in court poets of the time. The accounts of chaos in the capital in the first part of Hōjōki suggest Chōmei's social interests, and he contrasts them with his peaceful life as a Buddhist in reclusion. His account coincides with the spread of Buddhism to the general populace; and his careful depictions of the natural surroundings of his hut and of the natural and social disasters in the capital form a unique microscopic and macroscopic view of life during a violent period of transition. 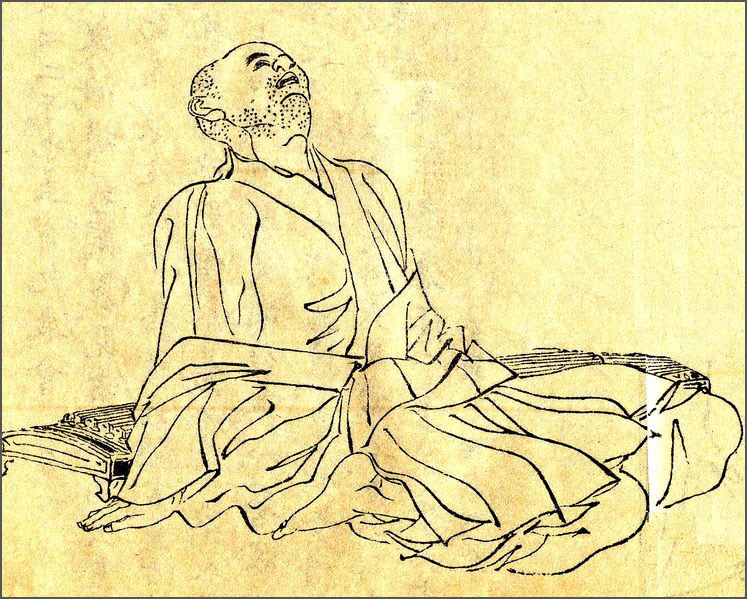 Attention to nature and self-reflection characterize the genre of recluse literature, and Chōmei was its pre-eminent practitioner. when he asked Zenjaku to complete a koshiki for him.
. Mantra of Fudo Myo-Oo 不動明王の真言 .
. WKD : Yugen (yuugen 幽玄) . look at the situation of the fish and the birds. Fish are always in the water, yet they don't become bored with the water. If you are not a fish you probably can't understand that feeling. Birds hope to live in the forest. If you are not a bird, you probably can't understand that motive. My feeling about my tranquil residence is of the same kind. Who can understand this if they haven't tried it? 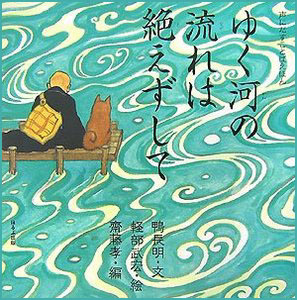 and its water is never the same.
. - Moto no Mizu もとの水 - 句集 -　A Hokku Collection - . Poems attributed to Matsuo Basho. Published in 1787.
. Daruma Pilgrims - TOP - .